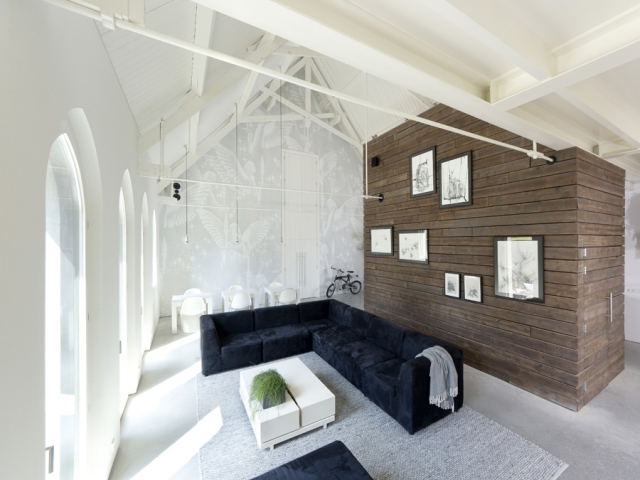 This former church in the Dutch town of Haarlo was converted into a loft by LKSVDD architects. It's adapted to a minimalist, sun-lit, quirky loft space for a couple. 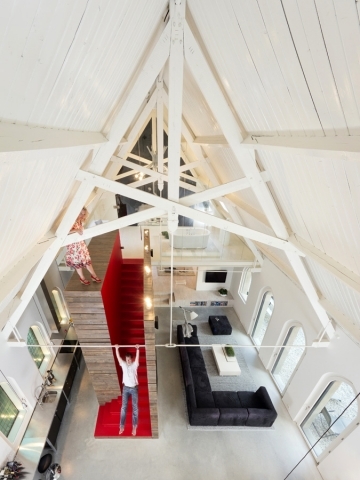 The "swinging sister" is one of the many quirky features of this converted church. 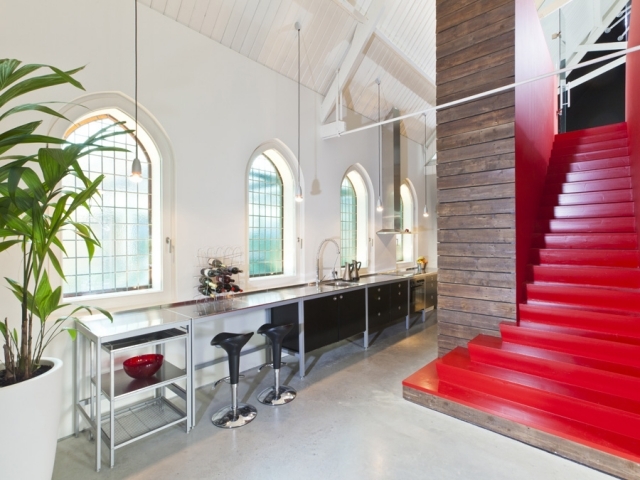 The "Stairway to Heaven" doubles as a divider for the rooms and storage. 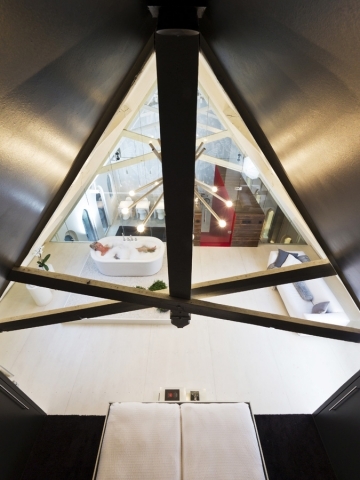 The bedroom and bathroom are located on a custom-built mezzanine.